There are currently 4 homes for sale in Stuart West. List prices range from $558,000 up to $849,900. This is an average price of $725,475 which is $189.67 per sq. ft. of living area. There is 1 home currently under contract. 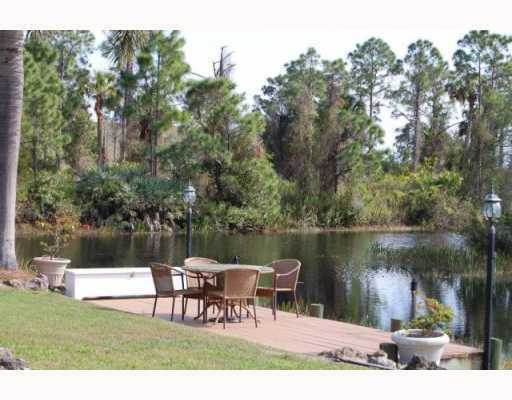 This home was listed for $719,000 or $256.24 per sq. ft. of living area. And, was on the market for 40 days prior to going under contract. In the past 12 months, 10 homes have sold in Stuart West. Sale prices ranged from $464,900 up to $800,000. This works out to an average sale price of $640,390 which equals a per sq. ft. of living area $196.89. These homes sold for an average of 94% of list price and averaged 83 days on the market. Stuart West is an upscale gated equestrian community located adjacent to the Stuart West and the Fox Club in western Palm City. Just off the I-95 exit, Stuart West is an easy commute for those who work either south or north of Martin County, yet want to enjoy the superior amenities that Palm City has to offer. Stuart West resides on over 1,000 acres of pristine land with 249 home sites ranging from 2 to over 10 acres. There are over 11 miles of waterways located throughout the community which makes for an idyllic setting for this family-friendly equestrian community. Community amenities include a playground, community boat ramp to the C-23 canal, a 10-acre equestrian center, 24 hour manned security gate (shared with Cobblestone) and security patrols, and an underground cable and routing system for the best high-end internet connectivity. All of this in Martin County’s ‘A’ rated school system. And school bus service is provided inside the community. Currently, Stuart West’s children attend Citrus Grove Elementary, Hidden Oaks Middle and South Fork High Schools. Home construction started in Stuart West in 1984 and continues to this day with approximately 52 vacant lots yet to be built upon. Though many of these lots are being kept as pastures by the adjacent homeowners. Home sizes range from 3 Bedroom, 2 Bath homes of around 2,000 sq. ft. of living area all the way to 7 Bedroom, 5 Bathroom estates with over 5,500 sq. ft. under air. The HOA fee is a very reasonable $121 per month which covers security and all the amenities this wonderful community has to offer. More information about Stuart West can be found on their property owners’ website here. There are currently 4 homes for sale in Stuart West. List prices range from $589,000 up to $782,000 for an average asking price of $685,250 which is $243.09 per sq. ft. of living area. There are two homes currently under contract. These homes were listed for $599,000 and $629,000 for an average list price of $614,000 which works out to $155.96 per sq. ft. of living area. These homes were on the market for 58 days prior to going under contract. 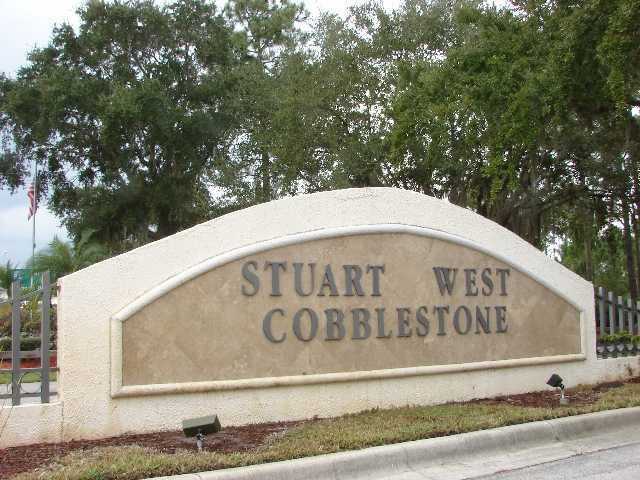 In the past 12 months, 9 homes have sold in Stuart West. Sale prices ranged from $459,900 up to $1,000,000 with the average sale price being $600,644 which equals a per sq. ft. of living area sales price of $192.32. These homes sold for an average of 96% of list price and averaged 158 days on the market. There are currently 5 homes for sale in Stuart West. List prices range from $649,000 up to $875,000 for an average asking price of $756,180 which is $191.67 per sq. ft. of living area. There is 1 home currently under contract. This home was listed for $459,900 or $188.64 per sq. ft. of living area. This home was on the market for 303 days prior to going under contract. In the past 12 months, 12 homes have sold in Stuart West. Sale prices ranged from $415,000 up to $1,000,000 with the average sale price being $566,167 which equals a per sq. ft. of living area sales price of $181.82. These homes sold for an average of 95% of list price and averaged 238 days on the market. There are currently 6 homes for sale in Stuart West. List prices range from $467,800 to 1,050,000 for an average asking price of $647,169 which is $212.49 per sq. ft. of living area. There is 1 home currently under contract. This home was listed for $625,000 or 222.74 per sq. ft. of living area. This home was on the market for 29 days prior to going under contract. In the past 12 months, 12 homes have sold in Stuart West. Sale prices ranged from $415,000 up to $698,000 with the average sale price being $541,113 which equals a per sq. ft. of living area price of $170.51. These homes sold for an average of 95% of list price and averaged 202 days on the market. Stuart West resides on over 1,000 acres of pristine land with 249 home sites ranging from 2 to over 10 acres. 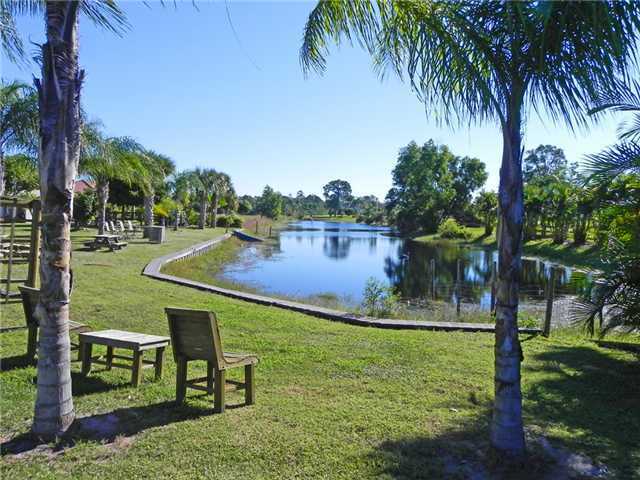 There are over 11 miles of waterways located throughout the community which makes for an idyllic setting for this family friendly equestrian community. There are currently 8 homes for sale in Stuart West. List prices range from $$499,900 to 1,050,000 for an average asking price of $634,264 which is $210.13 per sq. ft. of living area. There are 1 home currently under contract. This home was listed for $649,000 or $143.77 per sq. ft. of living area. This home was on the market for 265 days prior to going under contract. In the past 12 months, 20 homes have sold in Stuart West. Sale prices ranged from $177,200 up to $698,000 with the average sale price being $494,159 which equals a per sq. ft. of living area price of $153.74. These homes sold for an average of 97% of list price and averaged 142 days on the market. Stuart West resides on over 1,000 acres of pristine land with 249 home sites ranging from 2 to over 10 acres. 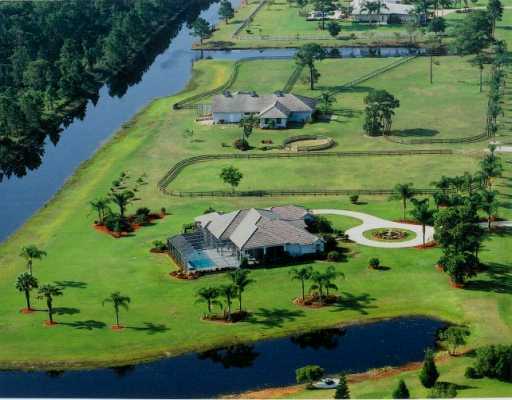 There is over 11 miles of waterways located throughout the community which makes for an idyllic setting for this family friendly equestrian community. Community amenities include a playground, community boat ramp to the C-23 canal, a 10 acre equestrian center, 24 hour manned security gate (shared with Cobblestone) and security patrols, and an underground cable and routing system for the best high end internet connectivity. All of this in Martin County’s ‘A’ rated school system. And school bus service is provided inside the community. More information about Stuart West can be found on their property owners’ web site here.